Spice things up with this custom pepper set – 24HR! 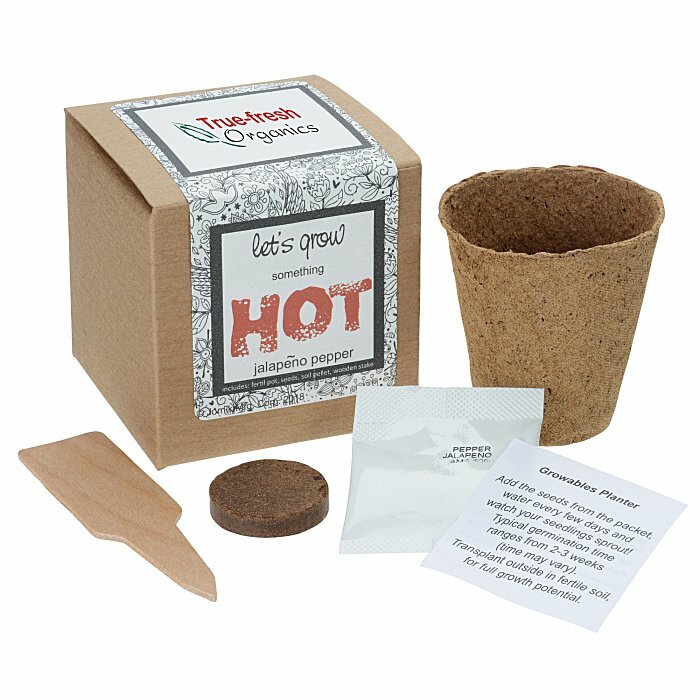 This planter gift kit includes an organic pot, a soil pod and a seed packet. Includes a seed packet with your choice of peppers. Available with Serrano, Cayenne or Jalapeno seeds. The featured spruce wood pot is 100% organic, sustainable and biodegradable. Pots are also full penetrable, eliminating the need for a drainage hole. Germination is expected after 2-3 weeks (results may vary). Size: 3" x 3" x 3". Your price includes a full color imprint on the label.